We may be a ways off from the year 3030, but the veritable supergroup trio of Dan the Automator, Kid Koala, and Del the Funky Homosapien have imagined a future so expansive and forlorn that it’s taken them over a decade to craft an addition to their original missive as Deltron 3030. Their sophomore LP, Event II, sees the space-aged hero of Deltron Zero amidst a world as corrupted by greed and malice as it is ravaged by caretakers not-at-all concerned with the planet’s equilibrium. Deltron Zero may be a fictional character, but he’s as closely aligned to Del the Funky Homosapien as any musical extension of oneself can be. “There’s no difference at all besides the extra spices of entertainment that I could never get away with in real life,” Del the Funky Homosapien tells the Appeal. Combining deft rhymes with intricate orchestrations, Deltron 3030 is a grand vision for the type of dystopian future you’d expect to see in a George Orwell novel, an author Del frequently cites as inspiration for the universe in which Deltron exists. It isn’t a pretty one, but the warnings gleaned from Deltron’s rhymes make a compelling case against issues you’d be just as likely to see championed by Occupy Wall Street as defended by a galactic rap superstar. “George Orwell is the main author and he pretty much informs all the art I put out, simply because our minds work in a similar fashion, as far as figuring out how human nature can work if certain things go the way they have been,” Del explains. 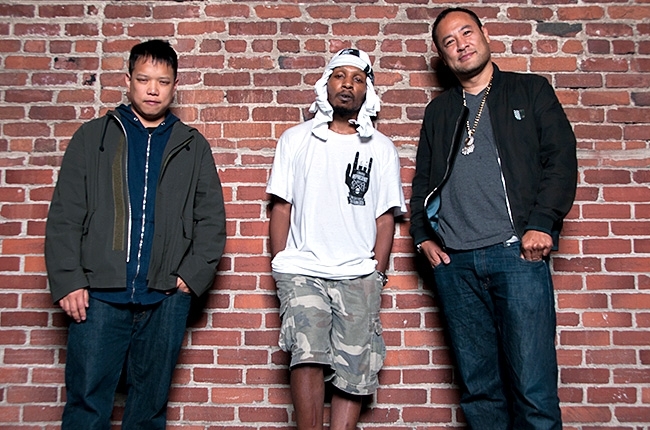 Deltron’s future is apparently one that includes the bare roots of music, fortunately. For their current live performances, Deltron 3030 is heading in a more acoustic direction and veering off into the orchestral. Violins, violas, cellos, and a full horn section round out what promises to be a multifaceted performance at the Fillmore this Saturday. “The collab with the orchestra was a personal dream that Dan [the Automator] wanted to fulfill I believe, he saw this as being much bigger than the average musical thing coming out today. I just was willing to roll with it and do my part to make it happen. It was Dan’s vision that it all sparked from as far as that goes,” Del explains. Catch Deltron 3030 Saturday, November 23 at the Fillmore. Purchase tickets here.